At the ancient city of Piramesse, which was Egypt's capital during the reign of the King Ramses II, an excavation team from the Roemer and Pelizaeus Museum in Hildesheim in Germany has uncovered parts of a building complex as well as a mortar pit with children’s footprints. The head of the Ancient Egyptian Antiquities Department at Egypt’s antiquities ministry, Mahmoud Afifi, describes the newly discovered building complex as "truly monumental," covering about 200 by 160 metres. The layout suggests the complex was likely a palace or a temple, Afifi told Ahram Online. The mission director, Henning Franzmeier, explained magnetic measurements were carried out last year in order to determine the structure of the ancient city, and through those measurements the building complex was located. The site of excavation had been chosen, he explained, not just because of its archaeological potential but because of its proximity to the edges of the modern village of Qantir, which is endangering the nearby antiquities under its fields due to rapid expansion. 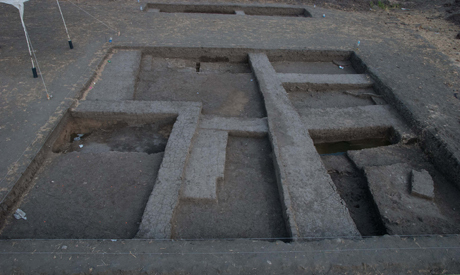 Franzmeier told Ahram Online that the team has also uncovered an area of about 200 square metres in its excavations. 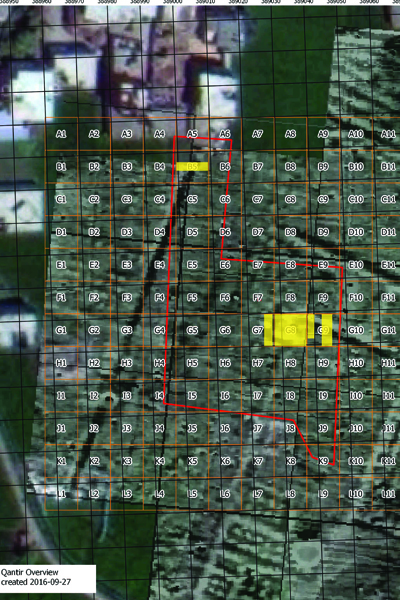 It is the goal of this work to locate a potential entrance to the monumental building, which seems not to be located as is typical in the axis of the complex, but rather in its north-western corner. Furthermore a second small trench was laid out in an area where the excavators believe the enclosure wall can be traced. "The finds and archaeological features uncovered are most promising," he said, adding that just a couple of centimetres beneath the surface a multitude of walls was uncovered, all dating to the Pharaonic period. Due to the limited size of the trenches no buildings can be reconstructed so far. Nonetheless it is obvious that the stratigraphy is extremely dense and several construction phases are preserved, and not all the walls are contemporaneous. The team has also found a mortar pit extending to at least 2.5 by 8 metres. At the bottom, a layer of mortar was uncovered, in which children’s footprints have been preserved. 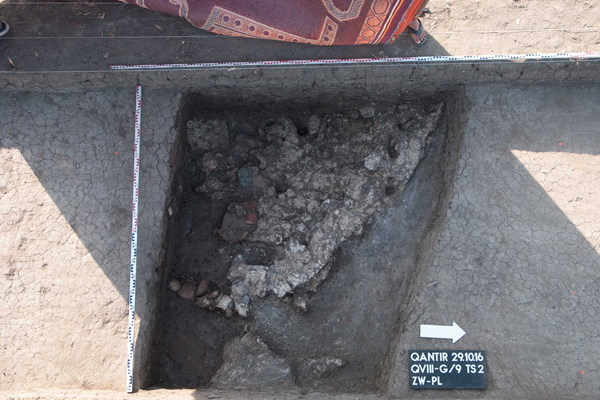 Even more extraordinary is the filling of the pit, consisting of smashed pieces of painted wall plaster. "No motifs are recognisable so far but we are certainly dealing with the remains of large-scale multi-coloured wall paintings," said Franzmeier. The team fragments have been cleaned in situ and subsequently removed. 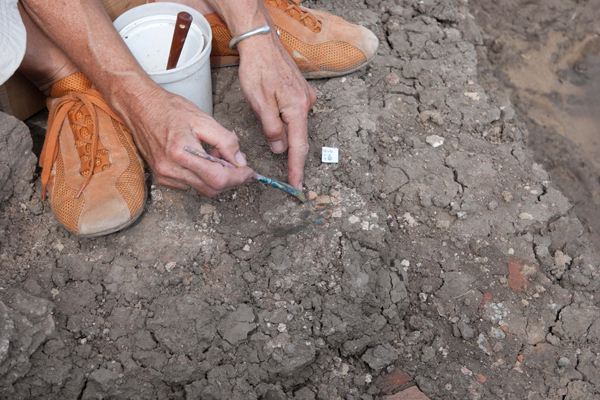 A comprehensive excavation of all fragments followed by permanent conservation and the reconstruction of motifs will be the subject of future seasons.